clear days you can even see some of the Channel Islands! 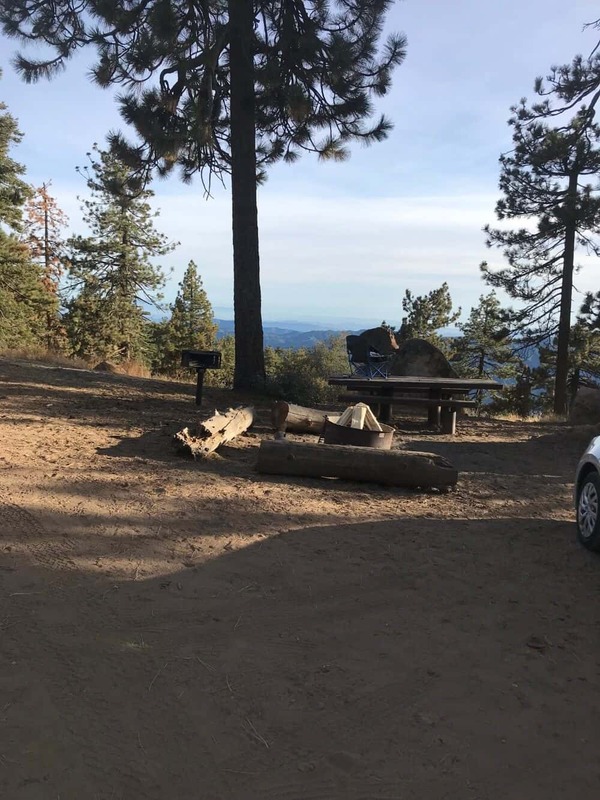 Reyes Peak Campground has six sites each with a picnic table, fire ring and pedestal grill. 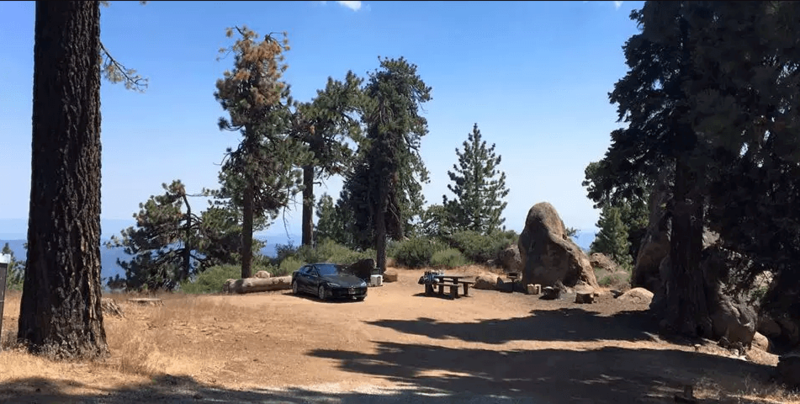 These campsites are located along the main road for a span of 0.4 miles. There is one single-seat vault toilet building adjacent to the campsites. 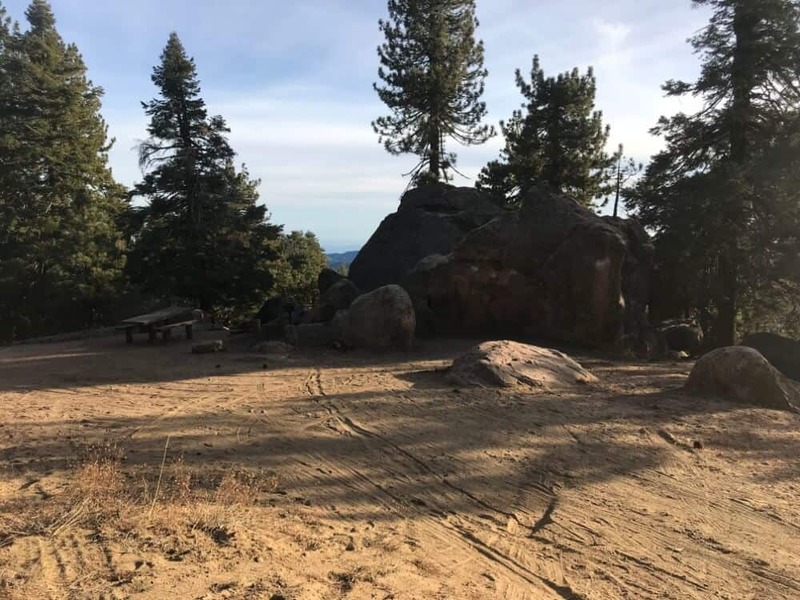 The area is popular for day use including rock climbing (bouldering) on nearby rounded rock formations. 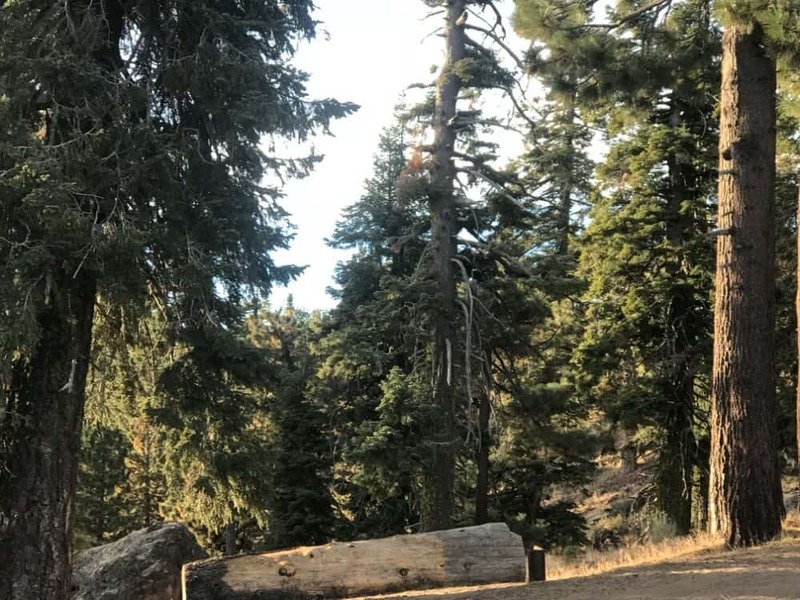 Two trails start at the campground: Raspberry Spring Trail which runs north for about a half mile and Chorro Grande Trail (23W05) which runs south for approximately 5 miles and ends at Highway 33. Reyes Peak consists of 6 Campsites situated along the southwest side of the ridge. 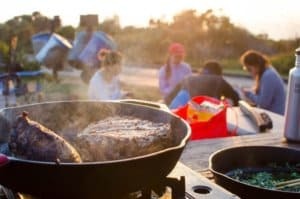 Each campsite contains a table, BBQ grill, and a fire ring. There is 1 pit toilet located near the first few campsites. No water is available at Reyes Peak. Make sure you bring plenty of water for your stay. the parking area on the western edge of the campground. 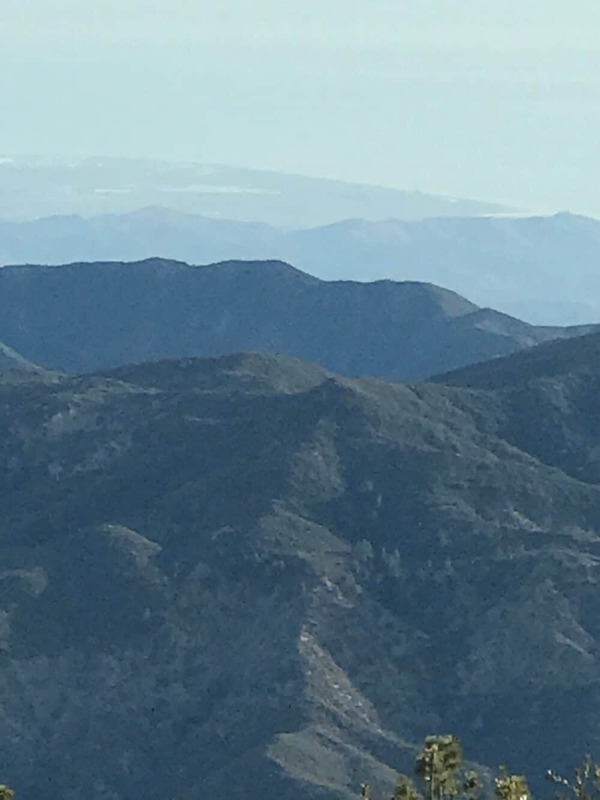 The Reyes Peak Trail ((23W04) is moderately difficult. 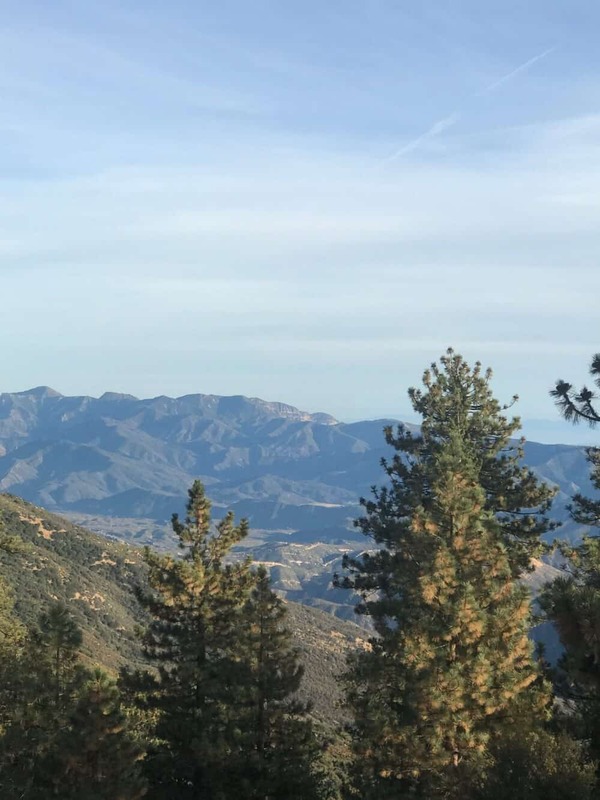 It leads eastward into the Sespe Wilderness for 5.8 miles to the Gene Marshall-Piedra Blanca National Recreation Trail (22W03). Remember, no mountain bikes are allowed in the wilderness. 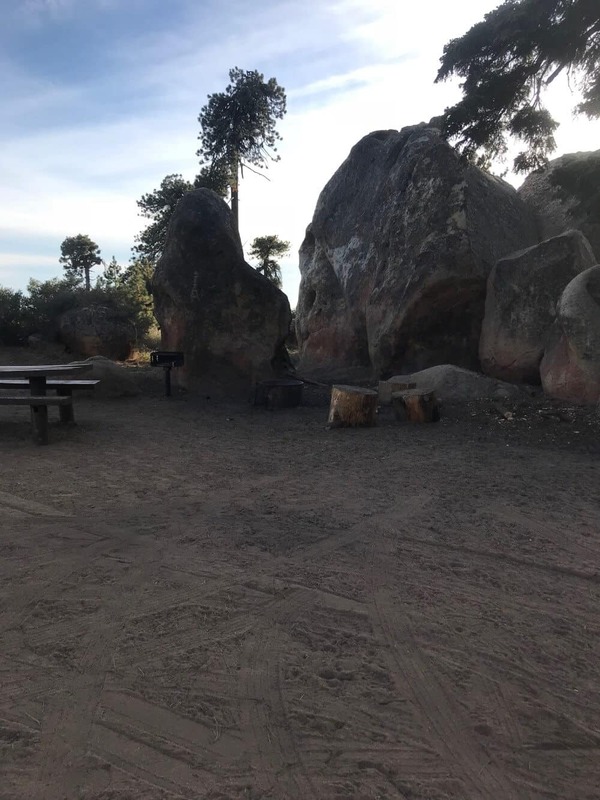 Click here for more information on Los Padres National Forest Reyes Peak campground is a "Campfire Use Site."